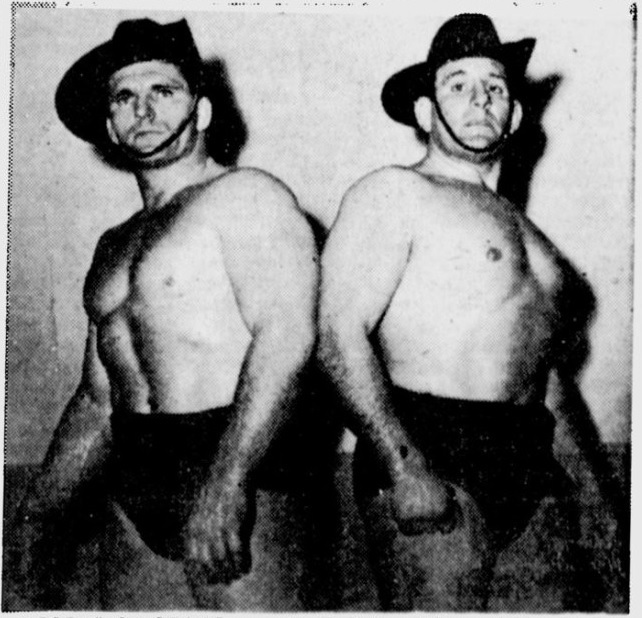 Al Costello and Leo Jensen, wrestled a draw at the Leichhardt Stadium last night. Both had a fall each. Mel Peters defeated Al Costello by two falls to one in the main wrestle at Leichhardt Stadium last night. It was the American’s fifth successive victory. Al Costello was disqualified in the seventh round of a wrestle with Bonny Muir at the Leichhardt Stadium last night. George Sands, 10/5, outpointed Sel Hamilton, 10/7, in a 12 rounds contest at Newcastle Stadium last night. Pat Meehan and Al Costello drew in a wrestling match at the Leichardt Stadium last night.